GMS Racing announced Thursday that John Hunter Nemechek will drive the team’s No. 23 Chevrolet for the full NASCAR Xfinity Series season in 2019. Nemechek will take over the ride that was primarily held by Spencer Gallagher last season. Gallagher announced his retirement from driving last October, saying he would take a managerial role for the organization owned by his father, Maury. Nemechek competed in 18 Xfinity races last season for Chip Ganassi Racing’s No. 42 team in his first taste of the series. The 21-year-old driver netted one pole position and six top-five finishes, including his first Xfinity Series win — Oct. 20 at Kansas Speedway. Nemechek earned his way up the stock-car ladder through the Late Model ranks, scoring prestigious wins in the Snowball Derby and the All American 400 as part of a productive 2014 campaign. Those successes came as Nemechek made the transition to a part-time tenure in the NASCAR Camping World Truck Series, driving for family-owned NEMCO Motorsports with his father, Joe, at the helm. 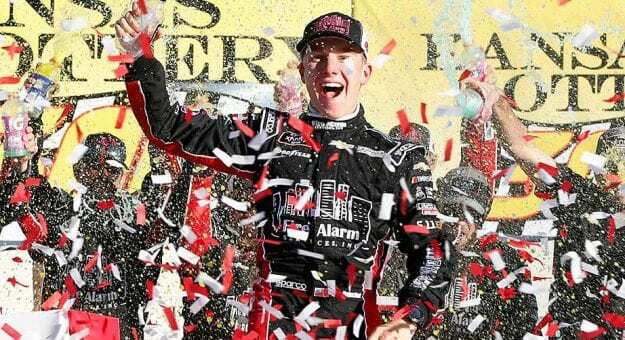 After breaking through with a 2015 victory at Chicagoland Speedway, Nemechek has won at least one Truck Series event in each of the last four seasons. His most recent triumph — at Martinsville Speedway in March — pushed his career total to six Truck Series wins. The GMS No. 23 team competed in all 33 Xfinity Series races last season, with a total of eight drivers splitting the seat time. Gallagher made the most starts (19), scoring his only Xfinity win at Talladega Superspeedway in April. Monster Energy Series regular Chase Elliott drove the No. 23 for seven races, and the car was also home to a one-race comeback from his father, NASCAR Hall of Famer Bill Elliott, last summer. Johnny Sauter made two starts in the GMS No. 23, while AJ Allmendinger, Alex Bowman, Justin Haley and Casey Roderick also took the wheel for one start each.